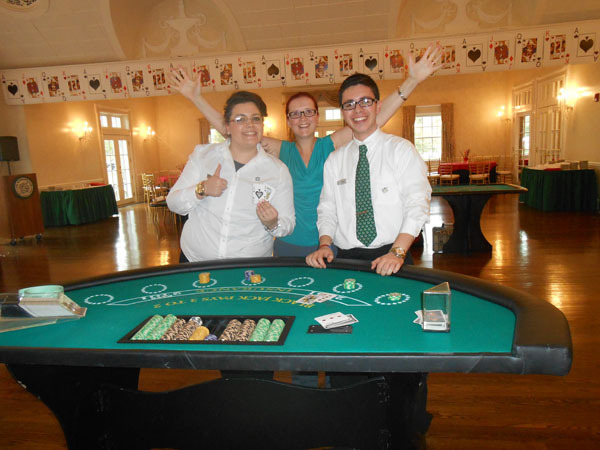 Casino night events are a great way to throw a party, have a fundraiser, or just get together with friends to play some games. You can be prepared to throw a night that everyone will remember when you work with us to make sure that you have all of the props and furniture you need to make your night perfect. There are a few things to consider when throwing a casino night to ensure that everyone has a great time. It’s important that you pick games that you think everyone will love to play so that all of your guests have fun. Poker and BlackJack are both incredibly popular, and for a good reason. Some people can play these games at once so your guests won’t have a lot of downtime waiting for a turn. While you may think that just a card table is enough for these games, calling us to rent a table is the best way to make your event look the same as the real thing. 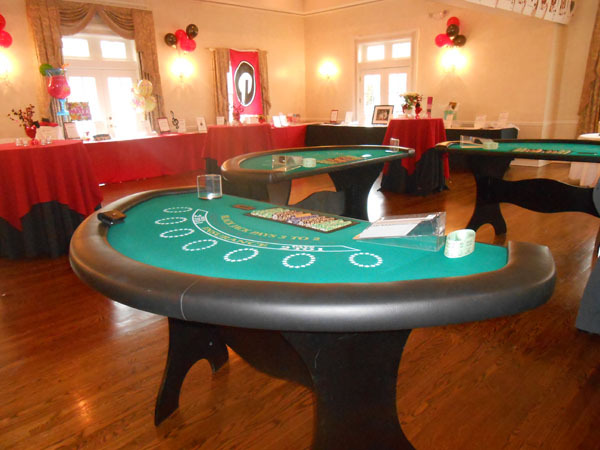 At Casino Parties LLC we promise that our casino poker tables are gorgeous and beautifully detailed to impress even the pickiest of guests at your event. You won’t have to worry about the stability or cleanliness of the table as we take great pride in ensuring that our rentals are neat, safe, and ready to go for each event. 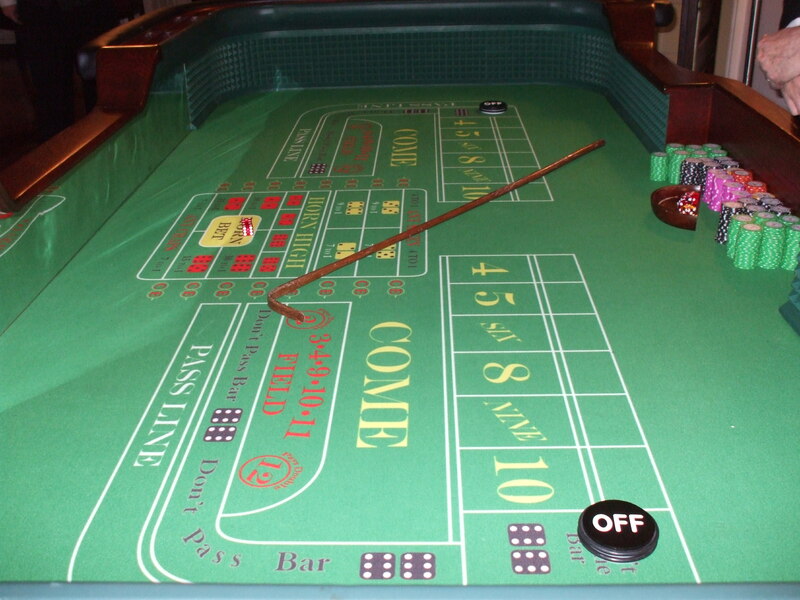 Decorations are another great way to bring your casino night event to life. You can easily rent a full-size party photo booth. Not only is this a show-stopper in your room but it is a lot of fun for your guests. All of our Casino Parties LLC clients who have rented a photo booth for their event have given it rave reviews. Every great casino night needs money for the guests to use and the best way to really tie your event together with a theme is to use custom funny money that we can help you design. You no longer have to worry about keeping track of real money or buying flimsy paper money that will wear out before the guests leave. Our funny money is glossy and textured, made of quality card stock and able to stand up to a full night of use. 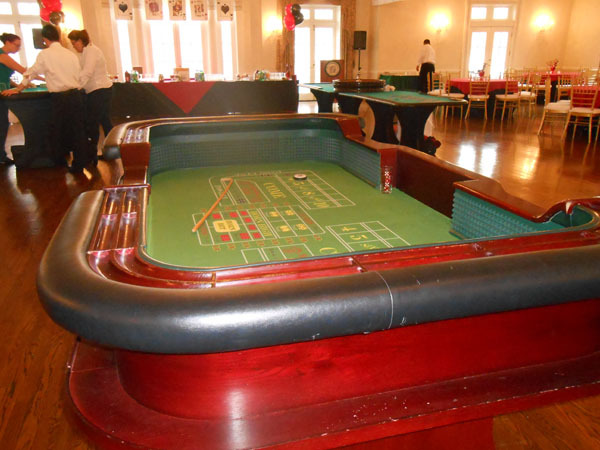 While the perfect casino-themed party may seem too difficult to plan and execute, by talking to one of our Casino Parties LLC expert planners about your ideas, budget, and needs, you can rest easy that your night will be one that your guests will remember for a long time. Great themed furniture as well as classy decorations and money to play with will bring your party to life. 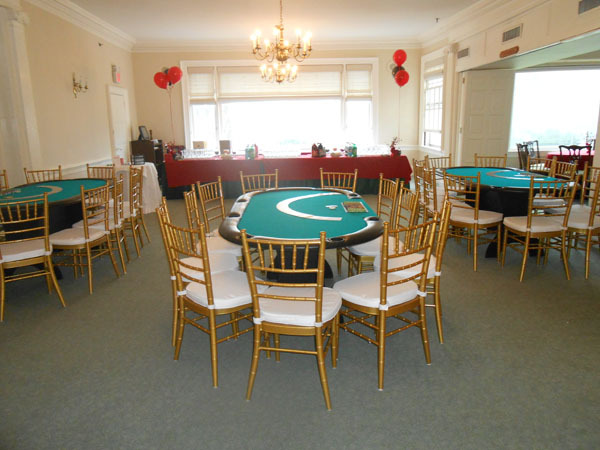 Call us, Casino Parties, LLC – the party experts – at 888-340-1873 to get the party planning started!